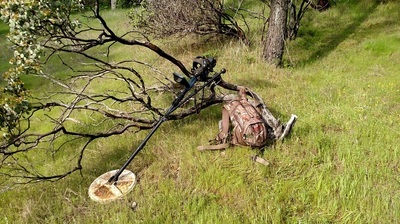 The photos above show good reason to keep track of what you are finding and where. The area in the pictures is low rolling hills that had placer deposition from the Clear Creek and the Sacramento River waterways centuries ago. The gold from these waterways is almost always water worn and very dense. 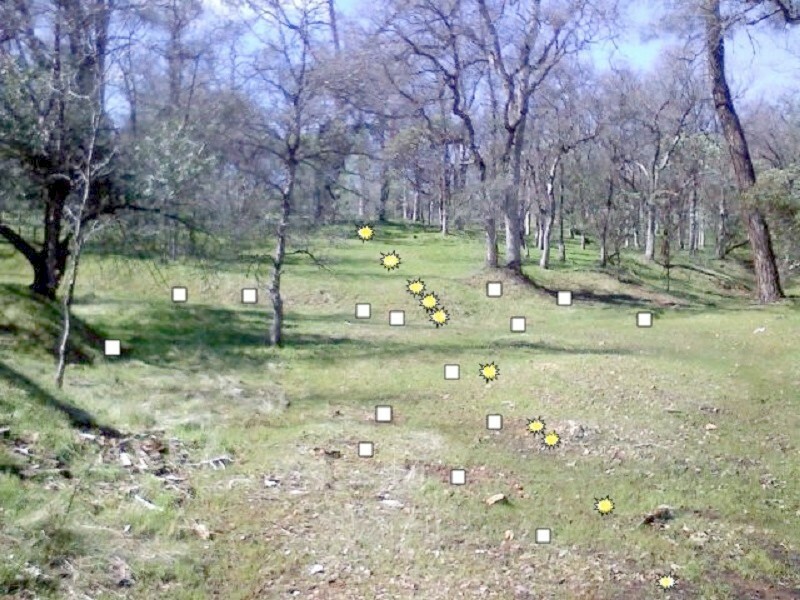 The white boxes represent where I found the ancient placer gold with a detector. The yellow stars represent where I detected gold that was a typical pocket deposit for this area. 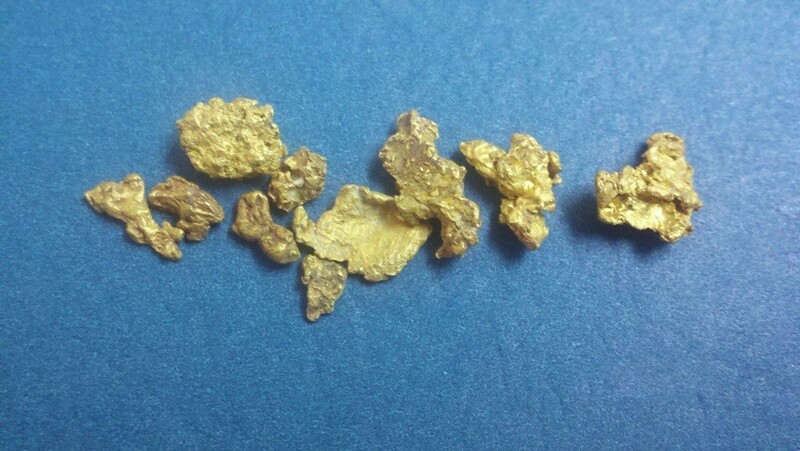 This gold is coarser and sometimes larger than the placer and is usually laid out in a pretty straight line. 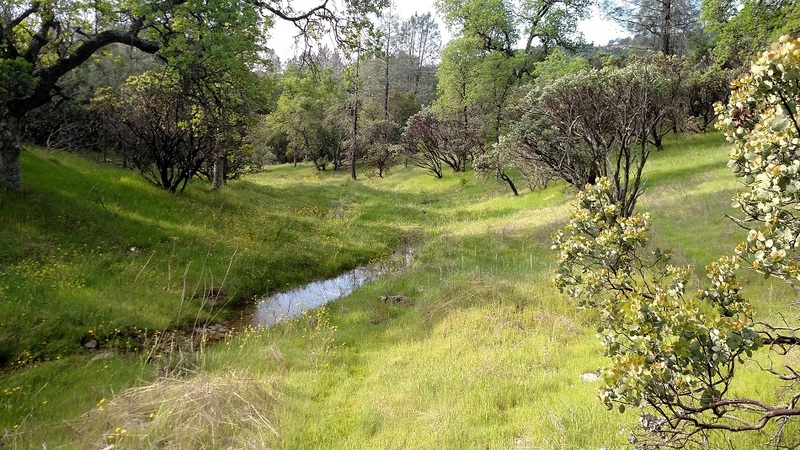 While the placer gold can cover a large area it is more widespread, sometimes concentrated and sometimes not as concentrated. 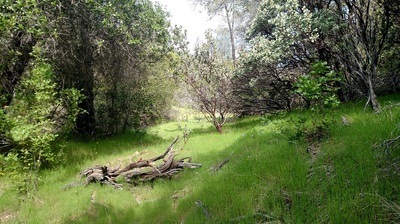 The areas where the placer shows up have usually been worked by some process. You normally have a definite perimeter where the old timers left off, although you can find more placer around the edges of these zones once in a while. 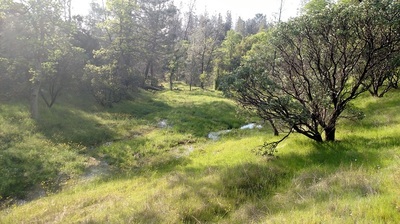 The placer tends to be a bit deeper, probably because it has been re-concentrated over the years. 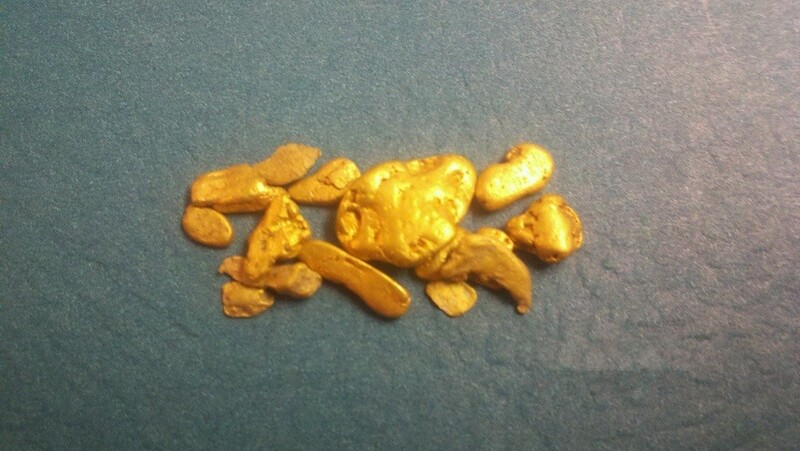 The pocket or line gold is usually not much deeper than twenty inches. The pocket formation will give you a direction that you can follow sometimes for miles. There will be dead areas, but you will also hit patches here and there that can be very rich. 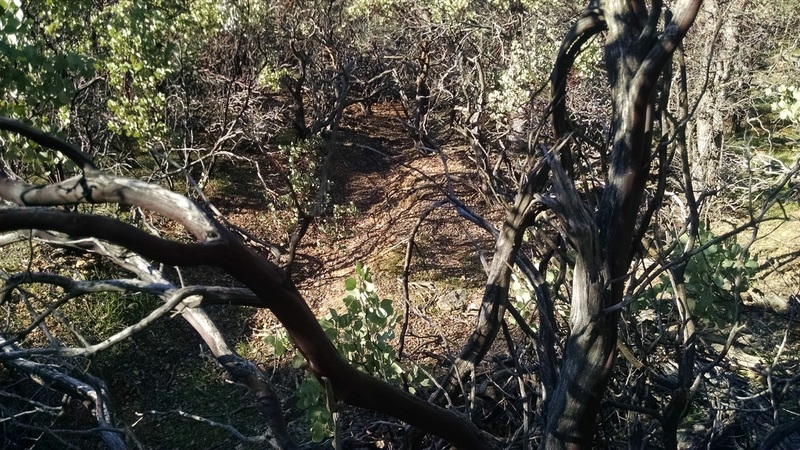 They too can also show evidence of old workings, however, once you are out of the immediate diggings they give you a direction to follow and possibly pick up on an area that was never worked by anyone. Most of my better pocket gold has been on a hillside where there is no evidence of mining anywhere nearby. You can see very clearly that the area in the picture below has been worked. 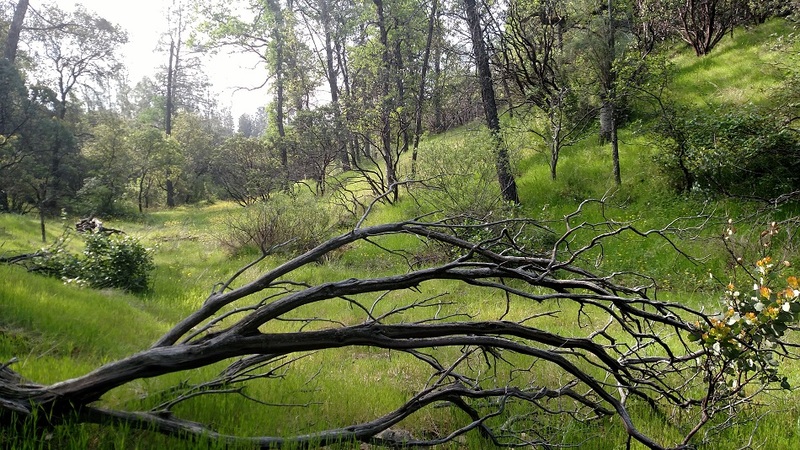 There is an escarpment around the edges of the area. This old diggings site had both placer and pocket gold. When the gold ran out the old timers left the diggings. 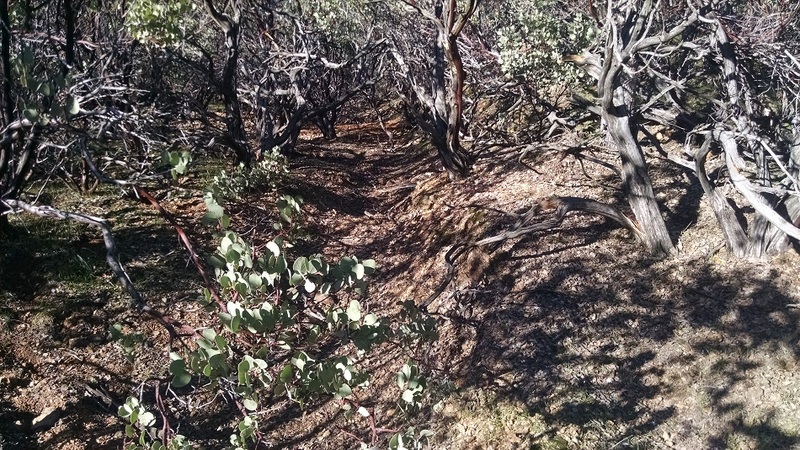 I come along over a hundred years later with a detector and I was able to trace the line of pocket gold because I had been keeping a good record of what I was finding and where I was finding it. I was also able to see the difference in the type of gold and how a pattern was laid out enabling me to follow the pocket/line a long ways from the diggings, and still finding nice gold. I love this type of detecting because so many people just do not have the patience for it. 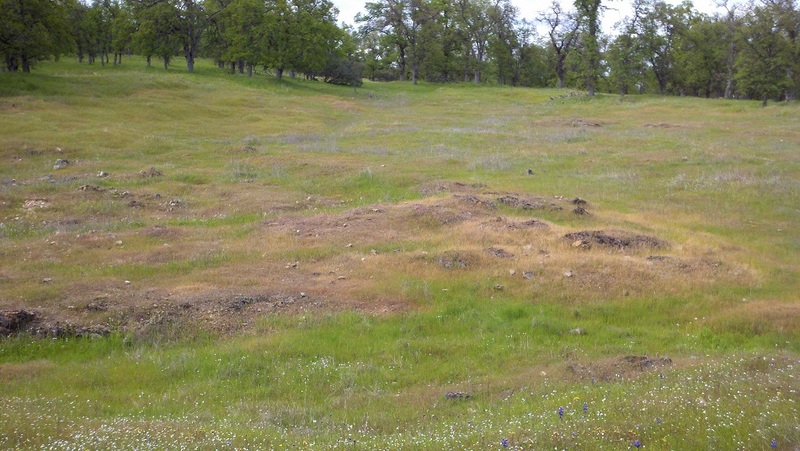 This is a picture of a placer deposit left high and dry long ago. The gravels are from nearby Clear Creek but also had lines/pockets of gold that cut across it. A person could tell what gold was placer and what gold was derived from the lines and pockets. There were definite patterns of how the gold was laid out in this old digging. This site turned out to be quite a discovery as I was able to run several lines of detectable gold in both directions. 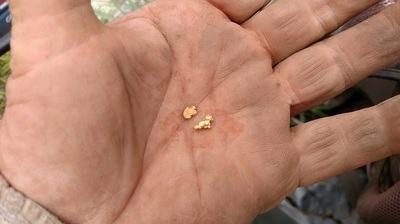 Three of the lines running northwest produced nugget gold for a few more years.